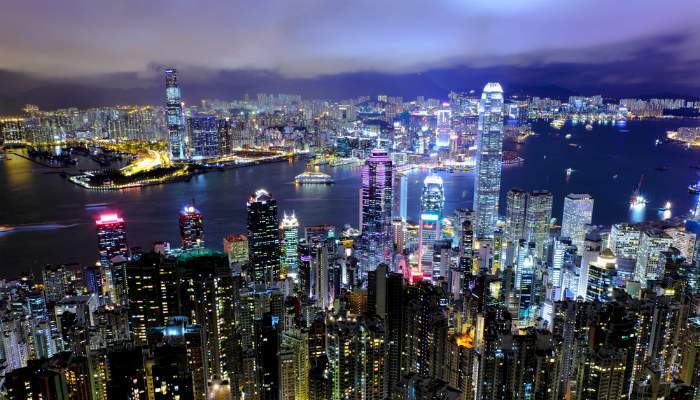 Some cities never sleep, and Hong Kong can certainly be counted among them. From sunrise to sunset the city buzzes with activity, and you’ll never be lost for something exciting to see or do. Here we’ve devised one day-long itinerary of the best way to enjoy Hong Kong no matter what hour it is. Let’s get going. Noon – Start your day of adventure with a tram ride to The Peak – the highest point on the island. The tram climbs high above the city and reveals incredible views that will give you the energy to explore non-stop for the next 24 hours. 1pm – If the jaw-dropping views from the top of The Peak haven’t satisfied your cravings for natural beauty, head to Victoria Park. A peaceful oasis in the midst of bustling Causeway Bay, this beautiful park is a great spot for tai chi. 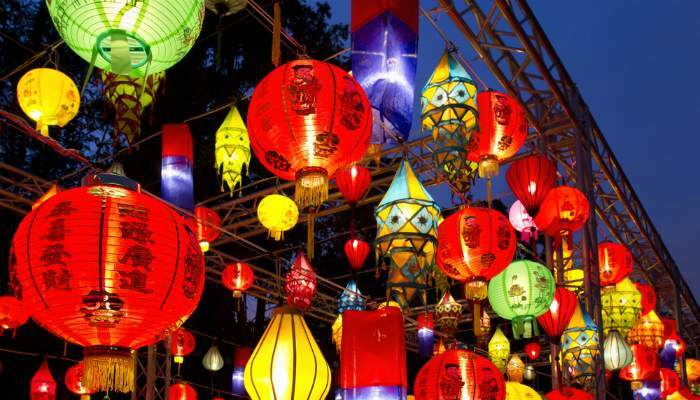 You’ll also find pretty hanging lanterns, and a vibrant flower market during Chinese New Year. 2pm – Pay a visit to the Hong Kong Zoological Gardens to spot a Bornean orangutan, or an unbelievably cute pygmy marmoset! This Victorian-era garden and zoo is full of lush, exotic plants, a colourful avery and interesting sculptures. 3pm – Take a short taxi ride from the inner city to find yourself on beautiful Shek O beach. This golden stretch of sand is clean and picturesque, an unlikely escape from crowded the crowded streets of Hong Kong. 4pm – Shopaholics won’t want to miss Ladies Market at Mong Kok. Starting promptly each day at 4pm, the stalls here offer everything from (fake) Gucci handbags to rubber gloves. 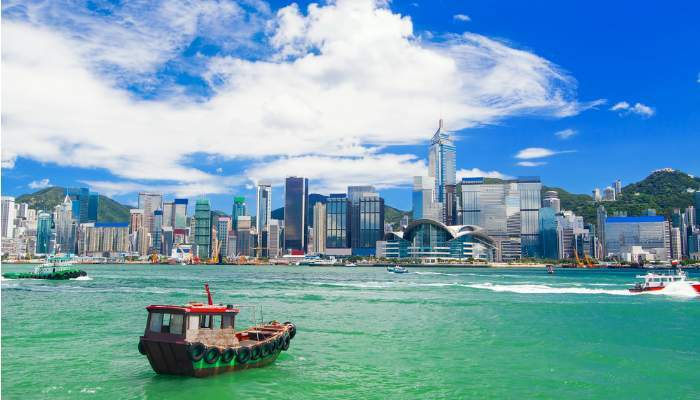 5pm – Hong Kong is famous for its magnificent harbour and unbeatable seafood. Combine the two with dinner on the water, sailing through the Lei Yue Mun fishing village to indulge in the freshest fish and shellfish. 6pm – Put your glad rags on at hightail it to the city’s first opera company, Opera Hong Kong. Tickets range from around £60 to just £9, so there’s something for every budget. 7pm – By now you must have worked up an appetite, so head to Jumbo Floating Restaurant! This culinary landmark is exactly what you think, an enormous waterfront restaurant serving up king sized dim sum and seafood. 8pm – There’s no better place to be at 8pm than watching Hong Kong’s Symphony of Lights, recognised by the Guinness World Records as the ‘largest permanent light show’ in the world. 9pm – From September to June Happy Valley Racecourse attracts thousands of spectators each Wednesday night. The atmosphere is palpable and billions of dollars are bet each racing season, so make sure you’re a part of it. 10pm – A tour of Hong Kong by night wouldn’t be complete without a stop at the Temple Street Night Market. Selling everything from tarot-readings to electronics and clothes, this manic market must not be missed at any cost. 11pm – As the sun goes down the neon glow of the city grows more vibrant. Jump on an open-top bus to take a nighttime tour of the most remarkable neon signs in Hong Kong. Midnight – Midnight snackers rejoice! There’s a culture of nighttime eating in Hong Kong which means you won’t be going to bed hungry. Many dim sum restaurants stay busy until 1am, and others only open at midnight. One Dim Sum on Playing Field Road welcomes late crowds and serves excellent food at dirt-cheap prices. 1am – Karaoke is a favourite national pastime, so warm up your voice and whip out your best Tina Turner! 2am – For something a little different, grab the last ferry out to Cheung Chau to see a miniature night market that carries on well into the morning. Holiday makers escaping from central keep the beaches and bars here busy all night, but if you fancy peace and quiet take a walk down pretty Peak Road. 3am – For a glimpse of the traditional life in Hong Kong rent a small fishing boat and go squid hunting! Squid and cuttlefish only come out at night, so you won’t be the only one searching for them, and an afterdark boat trip is a great way to get a new perspective on the city. 4am – Every night, or should I say morning, when other night markets are closing their shutters Yau Mai Tei is just warming up. This bustling fruit market is set in 100-year old buildings and teams with vendors. The action doesn’t peak until around 4am, so pop down to buy a handful of the freshest lychees and watch in amazement at the hustle and bustle. 5am – Cycling is so much more fun when there’s no one on the roads but you, so hire a bike and take it for a spin along Tai Mei Tuk where you can ride over the Plover Cove Dam. 6am – Kowloon Walled City monument opens at 6:30am, so get there early to see something spectacular. See the remains of this ex-military fort and soak in some of Hong Kong’s extraordinary history. 7am – The sunrise always looks better on the beach, so leave the city behind to find white sand and clear blue water at the remote East Sai Kung park. 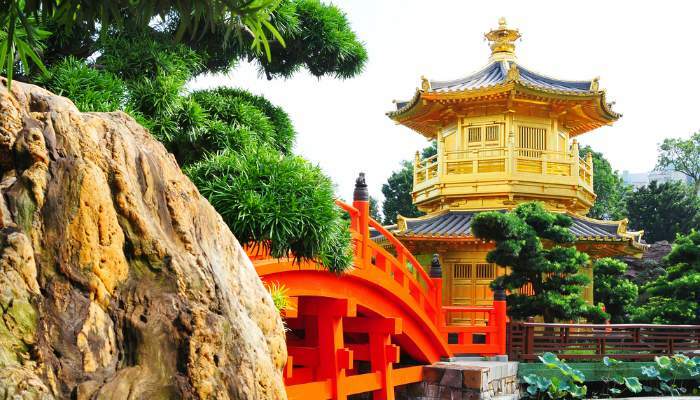 8am – Early morning is a great time to hit the busiest tourist spots, so take your chance to visit Wong Tai Sin Temple. 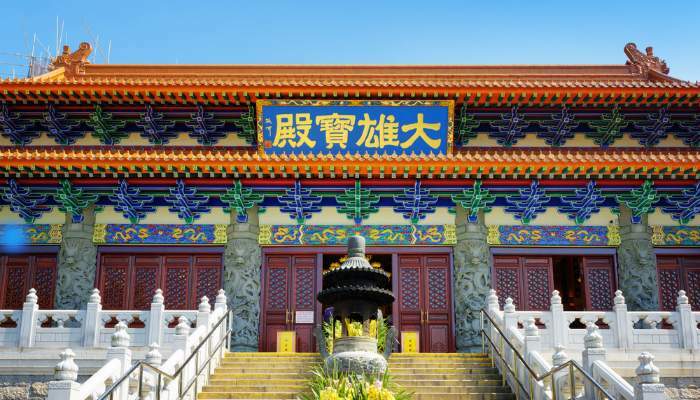 One of the most popular temples in Hong Kong, Wong Tai Sin Temple honours a shepherd boy who had healing powers and came to be revered as a demi-god. 9am – Hop on the Star Ferry for a trip along the water for the best views of Hong Kong’s impressive skyline. The ferry only takes seven minutes, but it’ll be seven minutes to remember. 10am – Avoid the crowds and find a gem hidden amongst Hollywood Road’s mountains of antiques. Offering everything from pretty porcelain to Buddha sculptures and Ming dynasty ceramics, this is one of the most popular attractions for antique fanatics the world-over. 11am – As the final flourish to your incredible 24 hours in Hong Kong, take a walk down to the harbour to try your luck pink dolphin watching. These remarkable creatures are often spotted in the harbour, so book a boat trip and don’t forget your camera.